As summer approaches and the weather has finally begun brightening up, we’re proud to announce our first annual Ultimate Garden Trends campaign. This article is the cumulation of hours of research and creative ideas from some of the industry’s top gardeners, landscapers, interior designers, architects and home stylists. Hopefully, it will provide some help and inspiration for ways to bring your garden to life and in line with the latest trends. Let us know if you’re a gardening blogger or retailer who wants to add their trend to our ever-growing list! “For years, outdoor dining spaces have been conveniently located just off the house, near the kitchen. However, we’ve noticed dining spaces being pushed out into the garden. Yes, you’ll have to carry your plate a bit further, but it’s well worth it. “A key interior and kitchen trend, copper, both as a material and colour, will make a big impact in 2018, according to Paul Hensey FSGD. 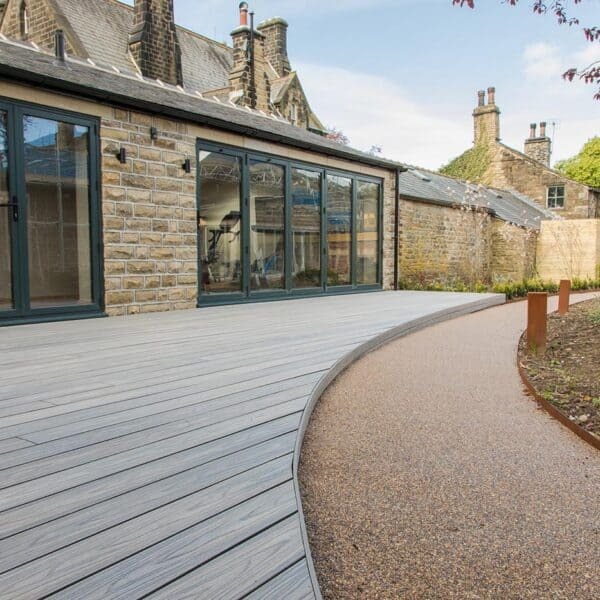 Weathering to a beautiful bluish-green patina, hard landscaping in copper can provide a wonderful sense of warmth to planting and a contrast to surrounding gravel, stone or wood. 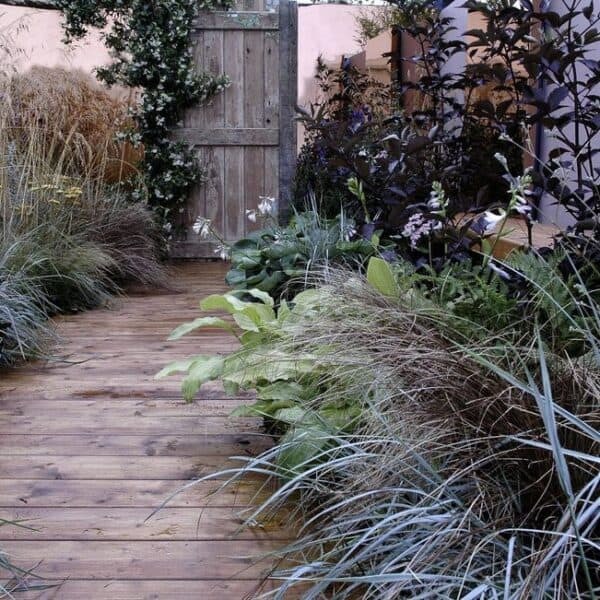 “There’s an inspiring new way of looking at your garden which is good news for the more hands-off amongst us. ‘Wabi-sabi’ is a Japanese art which has been practised in Japan since the 15th century. In short, it is an acceptance of the natural cycle of growth, decay, and death. “Wabi-Sabi is the art of appreciating beauty in the ‘naturally imperfect world’ – simply put, not everything has to be pristine to look good! This style can incorporate asymmetry, incompleteness, impermanence, and simplicity. “As people seek tranquility and serenity yet crave the boldness of color, it should be no surprise that the color purple will continue making its way into our gardens this year. Purple signifies peace, mystery, magic and ambition. Garden offerings in purple will include everything from blackberries to cabbages and beans to basil.